The numbers show that collector cars have never been more popular. Take advantage of the growing number of enthusiasts and the best coverage in the industry. Simple online quote and submission processes, online policy management, and expert underwriting and marketing assistance are all part of the package. Fax the form with current copies of your license and E&O declarations to 856-779-7289 or email these items to BrokerUpdate@americancollectors.com. 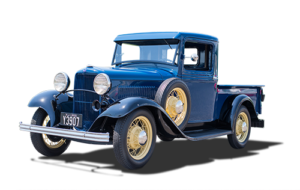 Your customers insured with American Collectors can be sure their collector vehicle has the best coverage available. Their investment will be well-protected by a policy that has been designed especially for collectors. Our policies are annual and our minimum premium is $100. Pays the vehicle’s full insured value (less any deductible) in the event of total loss. Our policy includes a zero deductible option, providing zero out of pocket cost in the event of a claim. Your customers know that the days of one-size-fits-all plans are over. They want a mileage plan that best fits their needs (2,500, 5,000 or 7,500)—now you can give it to them. Our Freedom Tier provides more freedom than any other collector vehicle insurance provider. True collectors are allowed 7,500 annual miles PLUS occasional general usage. We provide coverage and discounts for vehicles valued over $150,000 or collections valued over $250,000. Not quite finished? No problem! In most cases, we can protect the car throughout the duration of the restoration. Automatically increases the limit of liability up to a max of 6% at no additional cost. Should damage or loss occur to a classic “spare part,” our policy provides up to $500 coverage at no additional cost. Additional coverage is available. Even more cost and coverage options are now available. Qualifying vehicles purchased during the policy term are automatically covered for 30 days. Available to collectors with two or more qualifying vehicles. Program features and availability vary by state. Please contact American Collectors Insurance for additional information. Login to your agent portal to manage your clients.